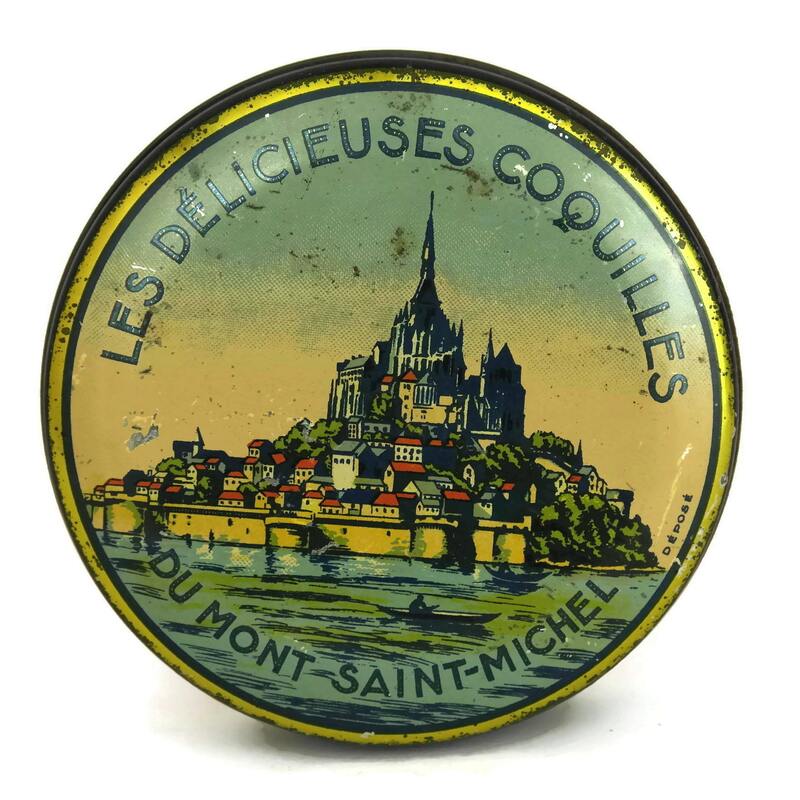 A lovely Saint Michael mount souvenir tin box from the 1930s. 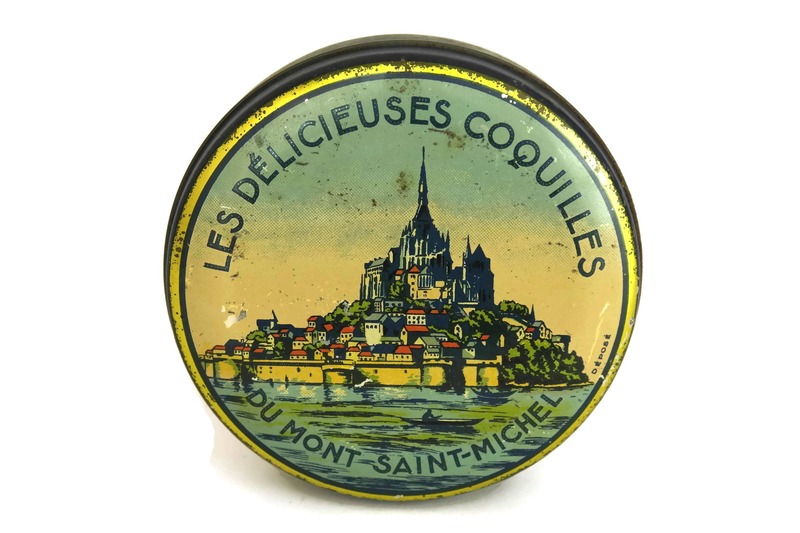 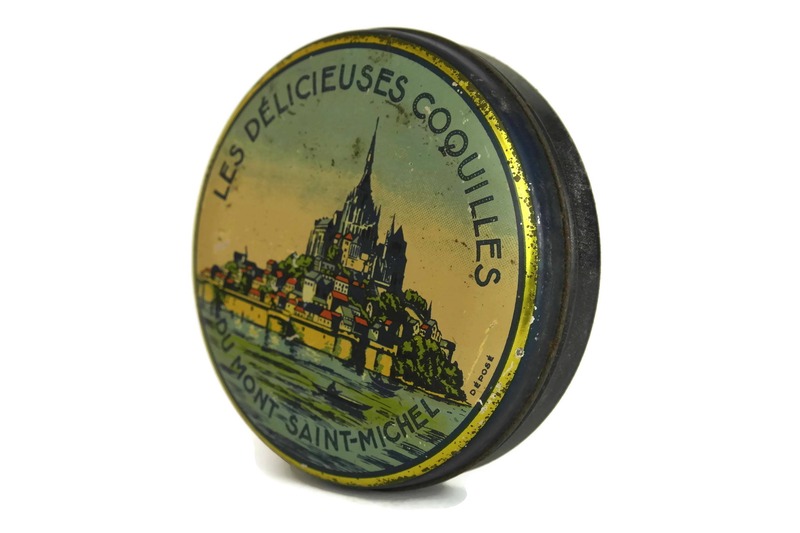 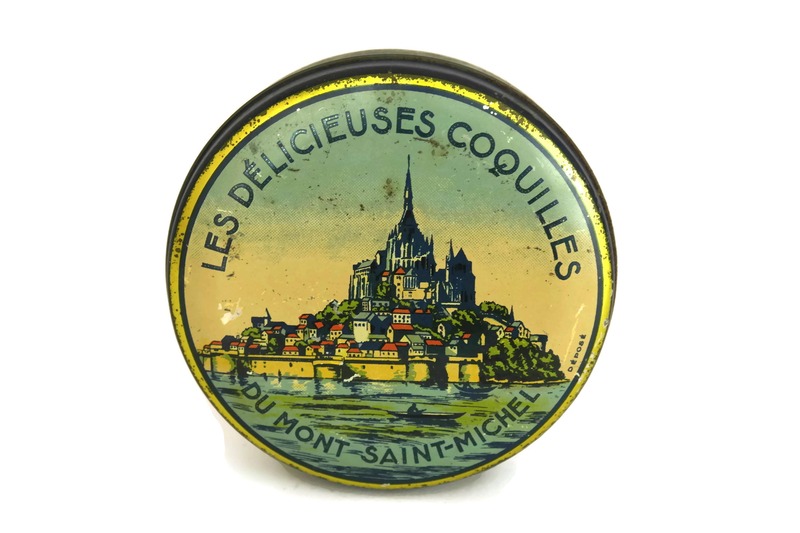 The vintage French box originally stored candy and has advertising for the brand "Les Délicieuses Coquilles". 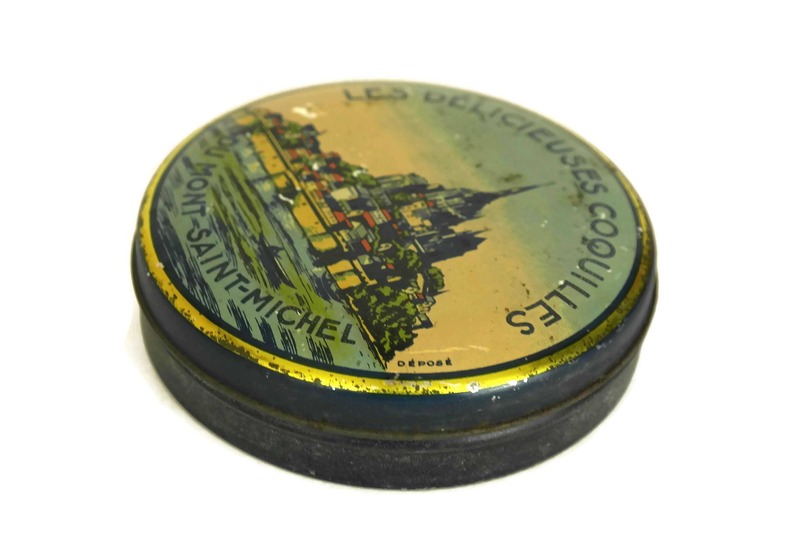 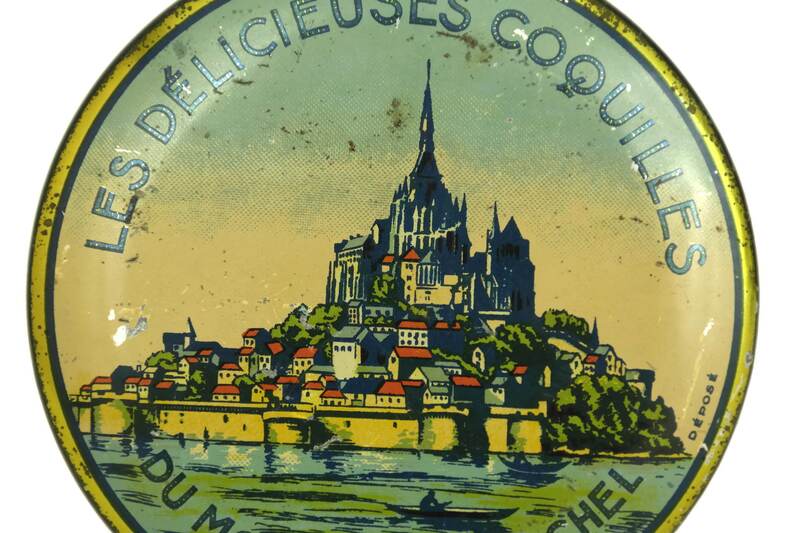 The lid of the round box has been decorated with a lithograph illustration of the famous French tourist attraction. 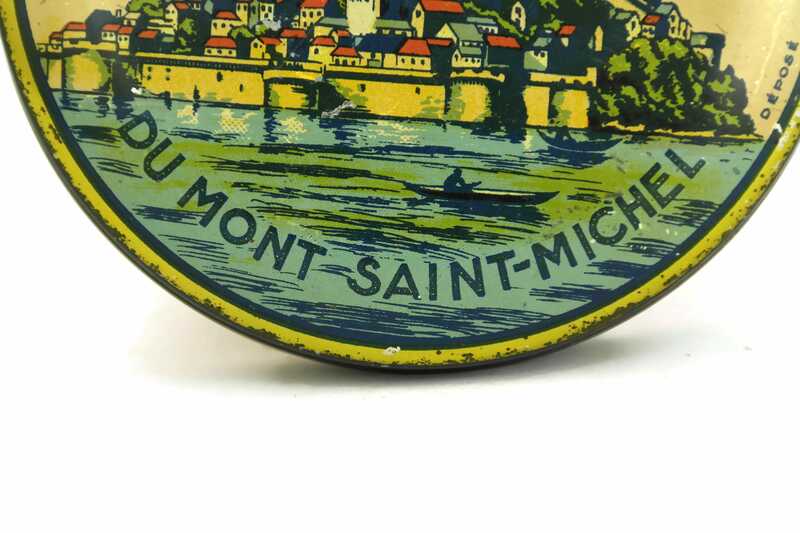 (11,5 cm x 2,5 cm). 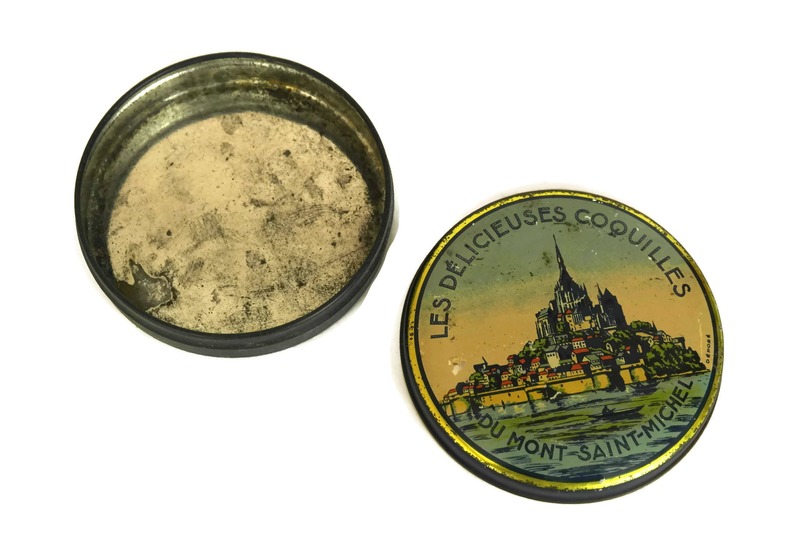 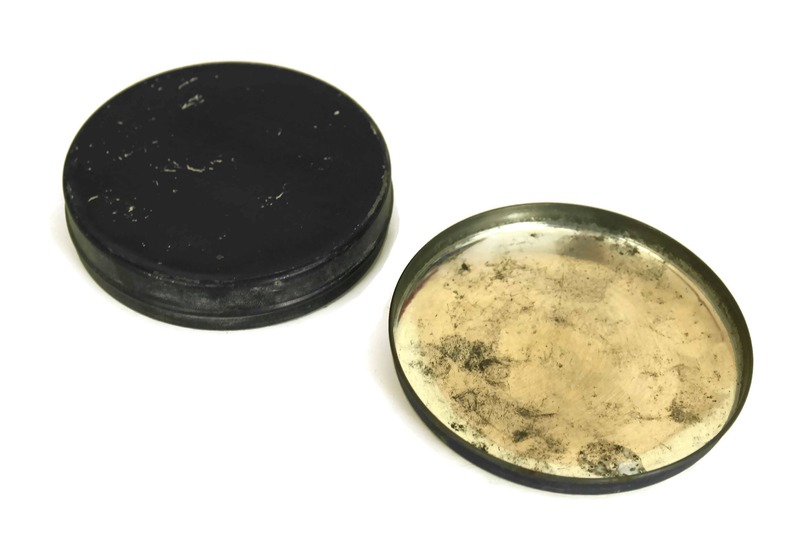 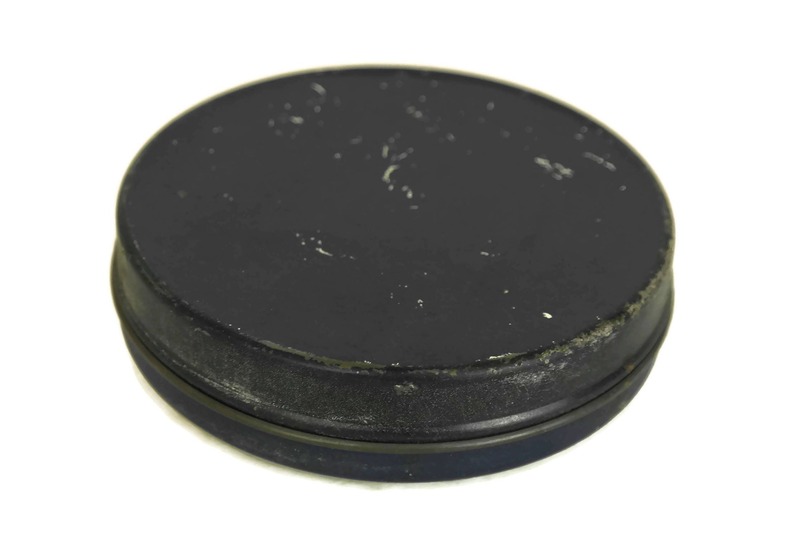 The tin box is in good condition with age-appropriate wear including patina, marks and scratches to the metal and image.